Trail running tips for women is series of articles sponsored by ATRA corporate member inov-8. This month we introduce inspirational runner Nicky Spinks, who is supported by trail running brand inov-8. She, and other inov-8 ambassadors, will provide tips for women on the trails on our Trail News section throughout 2017. The year of 2016 was an outstanding one for Nicky Spinks. The 49-year-old runner and cancer survivor made fell running history in May by becoming the fastest person to run an incredible Double Bob Graham Round. Nicky marked 10 years post-diagnosis for breast cancer by running the 132-mile Lake District route, which included around 54,000ft of ascent over 84 summits, in a time of 45 hours and 30 minutes. She took over an hour off the previous record set in 1979 by Roger Baumeister, who was there in person to support Nicky during her attempt. She followed this up by placing 12th woman at Ultra-Trail du Mont-Blanc (UTMB). In this second installment (check out the first with Jasmin Paris), Nicky talks with our Outreach and Partnership Specialist Peter Maksimow about the gender gap in trail running and provides her own motivational tips. 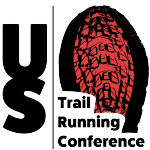 If you have questions for a future installment in this series please email them to Peter (petermaksimow@trailrunner.com). [Peter] The gender gap obviously shortens when races get longer in distance and time. You have undoubtedly experienced it within your discipline. Give us the best way to approach the situation. [Nicky] “Approach the situation” as a female runner? I would set off at my own pace and try to ignore the men who are determined to overtake me early on. However, if any of them really annoy me – by running past then slowing down, or obviously trying to stop me overtaking on a hill climb – I try and log who they are and then use that later in the race as targets to beat. TRAIL TIP: Run your own race, at your own pace. Try to ignore what others are doing and concentrate on your own running. [Peter] You bested the overall record time for the Double Bob Graham Round (set by a male – Roger Baumeister). How did he take the news of you beating his record time? [Nicky] Roger was the first person to remind me that my schedule was 47 hours and his record was 46.30 hours. I said, ‘yes I know but I’m aiming for sub-48.’ Roger believed in me before the attempt and gave me hope that I could do it when doubt crept in. He was there throughout the round and at the finish looked a little dazed…. but then again he had been up for 45+ hours as well as me! Having your record broken is an odd feeling (it’s happened to me a few times now!) so I knew how he was feeling. It would have made no odds to Roger which gender the person was. He was happy it was me because he knows me and we’re in the same running club (Dark Peak). [Peter] Do you think prizes in trail running / fell running races should be the same for women as they are for men? [Nicky] I do – and I think one day they will be. I’m a race organiser that provides the same trophies / prizes for men and women. However, I know that to give women the same quantity and quality of prizes in relation to how many women are taking part just doesn’t stack up. So what we need is for more women to take part. That will mean that when participation levels are the same then the prizes should, without doubt, be the same. 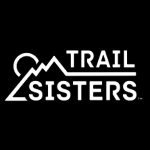 TRAIL TIP: Encourage you friends to start trail running so we can up the levels of female participation in our sport. We all have to start somewhere. Mine was a 5k run. Be positive as your friends see improvements in their running and encourage them on to greater things. [Peter] Women might inquire “what do I do in this situation?” when a woman is talked down to by a male counterpart. What should they say? How do they speak against something that is still so ingrained in our society? [Nicky] “In our society” – in the US? I actually find that men don’t talk down to me here (in the UK). Maybe I’m too scary? I wouldn’t say anything if they did talk down to me. They would either go onto my ‘to beat next time list’ or if that’s an impossibility I would think ‘You wait’ – and then encourage runners like Jasmin Paris to continue raising the quality of women’s achievements and so one day she will beat them! TRAIL TIP: Let your running doing the talking when it comes to any gender battles on the trails! [Peter] There is that male, that one male, who can’t get beat by a female (you know that one guy I’m talking about). What is the simple response you give him on the way to the finish line? [Nicky] I don’t lower myself to actually talk to him. I just smile and make sure that I pass him running tall and strong. [Peter] What are your best tips on getting the female support outside of competing in your sport? [Nicky] I am always myself. Most women recognise the pressures of having a full-time job and trying to run at the same time. I don’t Facebook loads of happy photos of me running all the time. I have a real life and I think they appreciate that I realise that they do too. [Peter] The numbers are not what they could or should be for women in trail running. How do we change this? [Nicky] It will happen with time. Women were only allowed to run marathons legally in 1972 (at Boston). We are years behind men and even since I started running in 2001 I have noticed a huge increase in the number of women in my running clubs and at races. To change it more quickly follow inov-8’s example and employ some female clothes designers, so that instead of us having to make do with men’s sizing, women can choose from a range of clothes that fit them properly! [Peter] You have come back from some very challenging circumstances, mainly surviving breast cancer. What has that shown you on how you approach running and life in general? [Nicky]I appreciate my life a lot more than I used to. I might not have lots of money, the weather might be abysmal, my work on the farm is often very hard but I can always find something good in the day. It’s another day after all. If there is something I would like to do then I try and make it happen. There is no rush to do everything but my granddad died a happy, contented man and I want to do the same. TRAIL TIP: Live every day. Don’t dwell on ‘what might have been.’ Make things happen. [Peter] What are your big goals/plans/challenges for 2017? How do you top the amazing feats you have already accomplished? [Nicky] I’m having a year off! Joking aside, I’m 50 in April I want to complete the Joss Naylor Challenge (a 48-mile, 30-summit traverse through the Lake District) and I have also entered the new Ultra Tour Monte Rosa in September. I don’t always comprehend why the next challenge has to be harder, longer, tougher than the one before. The Double Bob Graham Round for me was a special challenge and one that should be appreciated for a couple of years yet. TRAIL TIP: Set yourself personal trail running challenges outside of racing. It’s good to have a mix of these challenges and some races too. [Peter] You are an ambassador for inov-8. What are your favourite trail running shoes and how important is female-specific apparel that fits right? [Nicky] I have three favourite inov-8 shoes, three favourite dogs and three favourite cows! I like things in threes. For trail running it would have to be the ROCLITE 305, which really do grip on all terrains, be that mud, wet rock or hard-packed trails. They are super-comfortable too. It was fantastic to meet the woman heading up inov-8’s apparel (Helen Stuart) recently. As soon as I met her I knew why inov-8’s clothes fit so perfectly; their designer is a woman. We’ll never be the same shape as men (I hope) so it’s imperative that we have clothes that fit us. Maybe when there are more women runners than men, the men can try wearing our clothes! Peter is our Outreach & Partnership Specialist and lives in Manitou Springs, CO. 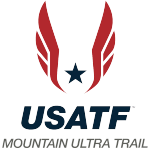 He is also an elite trail runner and member of the silver medal-winning US team at the 2015 World Long Distance Mountain Running Championships.